Morning Motivation — What’s your paradise? Every person has their own idea of paradise—the tropical island, the idyllic countryside, a bustling city, the day without screaming children. Whether you are in these exact locations or not doesn’t matter. You still have control of whether you are in paradise. Shift your thinking. Adjust your attitude. Wherever you are. Whatever you have. Whoever you’re with. You are exactly where paradise is! It’s your choice. 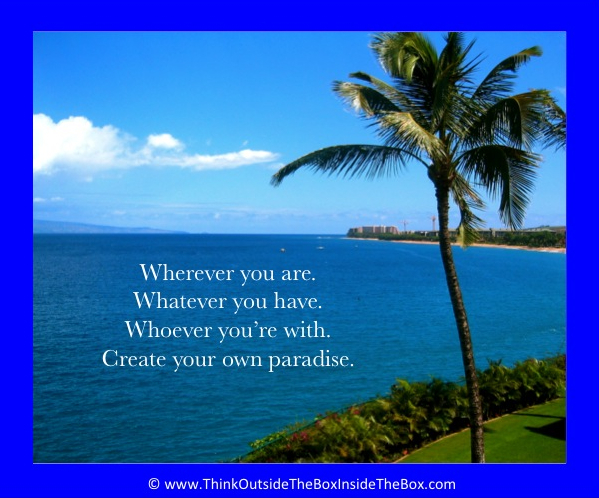 Make the choice to create paradise wherever you are with whatever you have right now and in the process be empowered and happier. Be thankful for your loved ones.